Recruitment marketing represents an affirmative way for organizations to engage with prospective employees by using powerful marketing technologies that allow employers to build, broadcast, protect, and burnish their employer brand. 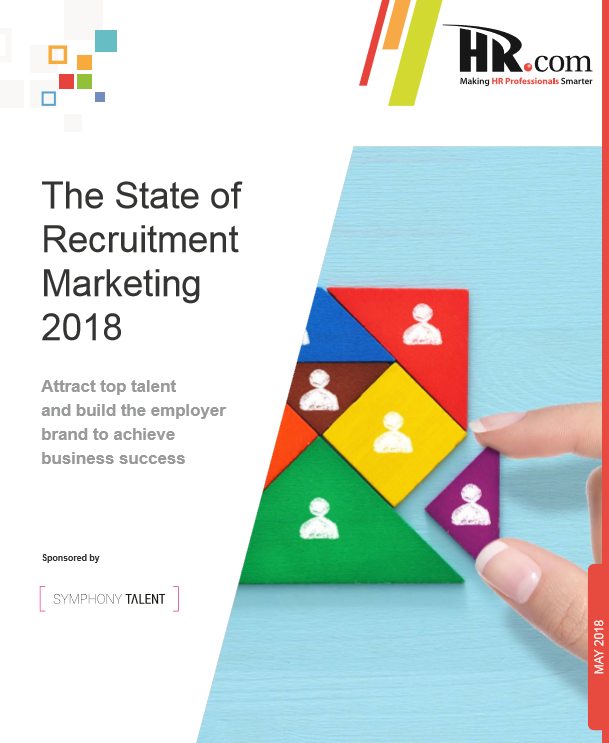 Symphony Talent is a proud sponsor of this survey report and you can download it for free today! HR.com strives to help create inspired workforces by making HR professionals smarter. Over 1,100,000 HR professionals turn to HR.com as the trusted resource for education, career development, and compliance: thousands of lessons and tips in the HR Genius on-demand training library, 400+ informative webcasts and virtual events yearly, the largest HR certification exam preparation practice supporting SHRM and HRCI certification, legal compliance guidance program, community networks, blogs, career planning, 12 monthly themed interactive HR epublications, 35+ primary research reports, and up-to-date industry news onsite daily. HR.com offers the best training and networking for HR professionals globally 24/7/365.